This pan-fried fish recipe is the unhealthy alternative to baking breaded fish in the oven, but it gives the fish that extra crispiness. I am not a fan of really “fishy” tasting fish, so my favorites include halibut and catfish which I find to be more mild in taste. I commonly use Swai (a type of catfish) for this recipe, which you can find at your local grocery store (fresh or frozen). 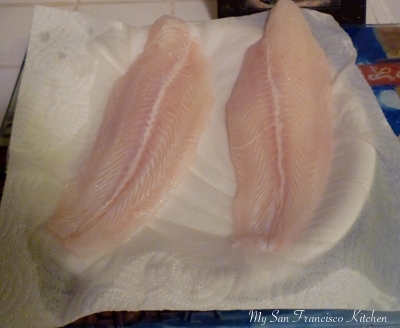 Wash the fillets and pat dry with a paper towel. 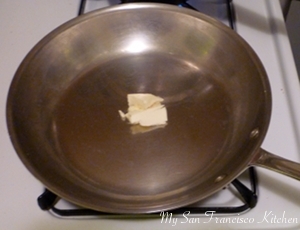 Heat butter in pan over low heat to melt (make sure it does not burn). If using oil, can turn up heat to medium-high. Season fish with salt and pepper to taste. 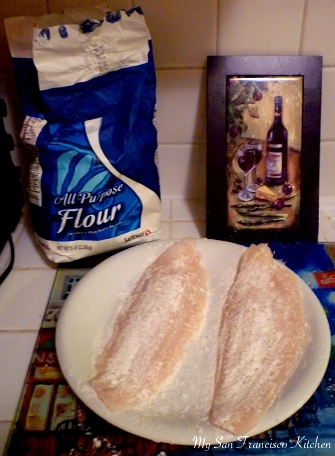 Coat fillets with flour on each side. 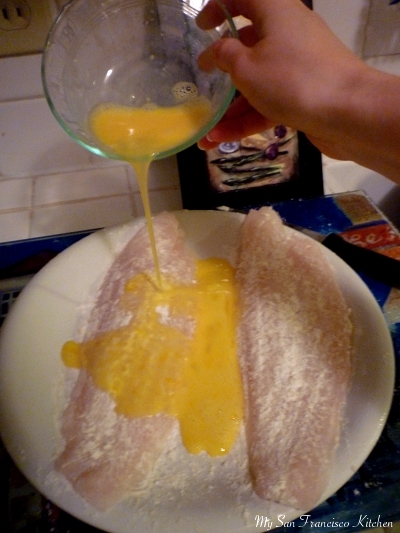 Pour 1 beaten egg over the flour-coated fillets, and brush egg over both sides. Sprinkle panko bread crumbs over one side of the fillet covered in egg. Season with more pepper if desired. Turn up heat on pan to high and wait 1 minute for butter to get really hot (without burning!). 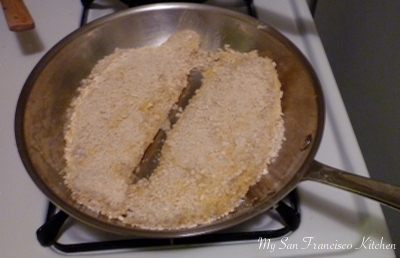 Quickly flip the fillets with the breadcrumbs facing down to the pan (the un-breaded side should now be facing up). Sprinkle breadcrumbs over the sides facing up, and fry the fish for 4 minutes. Check with a spatula to see if the crust is crispy and to make sure it does not burn. If burning, low the heat a little. If it looks crispy and golden brown, carefully flip the fish and fry the other side 3 minutes. Check underneath for burning. One way to check if the fish is done is by splitting it in half and checking the middle. The fish should turn from a pink color to white if fully done. This is not the most attractive way, but it tells you for sure. Do not leave on too long or fish will be too dry. Serve with rice/potatoes and steamed vegetables. 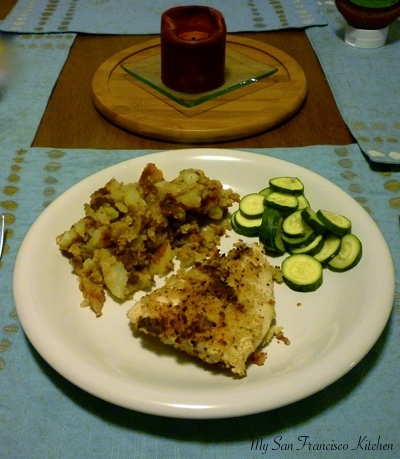 This entry was posted in Dinner, Lunch, Seafood and tagged breaded, fish, panko, swai.